Tickets are on sale - see you on the island of Majorca! may be you have been with us last year in Berlin at the PHP Unconference Europe, perhaps not - in either case, we'd be delighted to see you (again) in 2014! 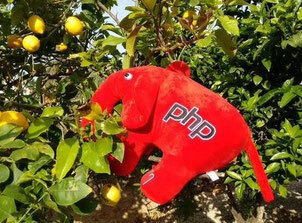 The first PHPucEU took place in 2010 and it was all about growing the European community - bringing together developers from all over the continent. Another little wish was to end up on Majorca, having a PHPucEU there with sun, fun, yummy oranges and you, of course. "An unconference are coffee breaks as a principle"
We are part of the community, so you will find a community-driven event. There is nearly no possibility to give more responsibility to you. You tell the community what you want to hear about and if you can prepare talks, please tell us so! Everybody contributes content and the community will vote to set a priority for the two days we have. The standards are professional but don't be shy! All of the content is attendee-driven. We organize the framework: Location, food, drinks, parties in the evening. To be honest, there is work to do! This is our (yours and our) event, it's a group effort. Everybody applies for topics, everbody votes for the subjects and everybody takes part in the talks, discussions and workshops. Go on, prepare some great stuff! Hotel Catalonia Majorica Garita, 3 07015 Palma de Mallorca (Mallorca).